Can’t wait until the end of October/early November to get your hands on the next Nexus made by LG? 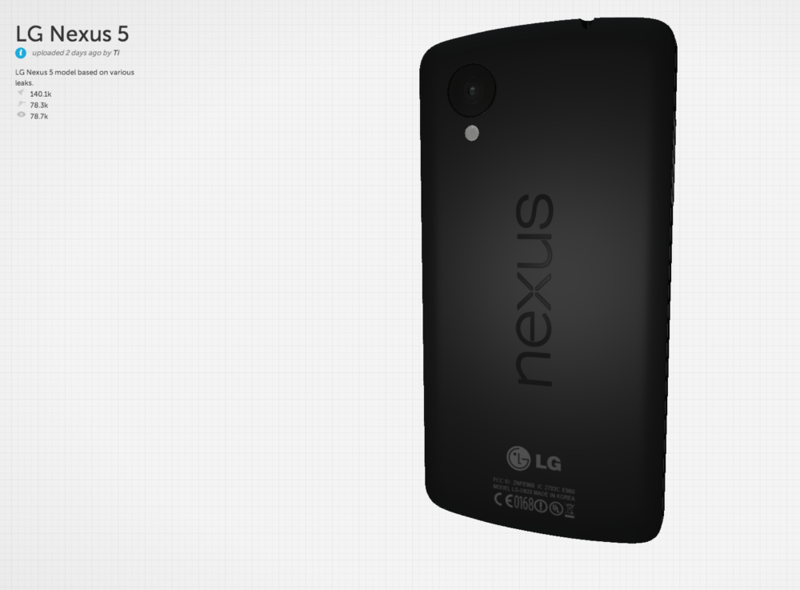 Maybe this 3D rendering of the device will help satisfy your need for all things Nexus. Published to reddit over the weekend, this mockup is clearly based off of the FCC screw-ups and premature sightings thanks to Googlers taking in statue unveilings. It could give a great representation of what we can expect when Google makes the device official next month (likely) or Google could surprise us with something completely different (not likely). Either way, you have to love creativity combined with the internet. To interact with the 3D rendering below, simply click and let it load. Once it hits 100%, you can use your mouse to drag the device in full 360-degree motions.